New Year's Eve...a time for reflection, resolutions and glitz and glamour. 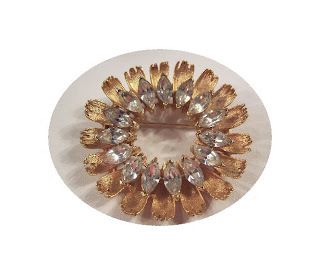 Vintage diamante rhinestone jewelry is the perfect accent for this year's holiday outfit. 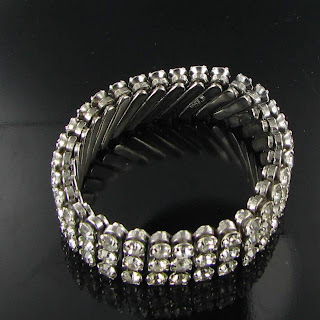 Collectors of vintage jewelry know that colored rhinestone jewelry is popular and very collectible - often hard to find in great condition, and can be quite expensive. 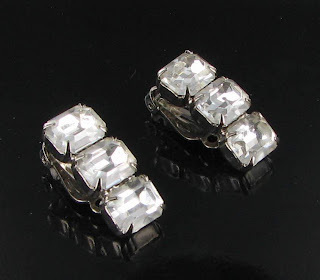 But how about its "not so colorful" cousin - clear rhinestone jewelry, also known as diamante jewelry. It is perfect for weddings of course, but nothing adds just the right touch to the perfect black dress like clear rhinestone jewelry. And best of all - it is very affordable compared to its colorful cousin. Here are some perfect choices from my online shops. One of them might be just the piece to jazz up your holiday dress. 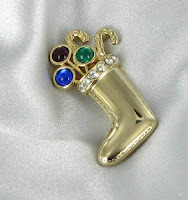 This blog post is another in my series about choosing jewelry suitable for individual star signs. Today's astrological sign is Capricorn , which is the sign for those born between December 21-December 19. The sign is depicted as the goat and it is considered an earth sign. Capricorns are responsible, patient, and ambitious, and are very loyal friends. On the negative side, they are considered to be somewhat selfish and pessimistic and can be very jealous in relationships. Thinking about buying jewelry for your Capricorn friend and don't know where to start? Let's examine some of these zodiac facts for a bit of inspiration. Flowers and plants that Capricorns love are pansies and ivy. Let's combine some of these traits and see what we can come up with for gifts that might please your Sagittarian friend. 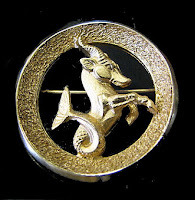 Trifari has a series of zodiac jewelry which depicts the various sun signs. Perhaps one of these would be perfect for your friend. 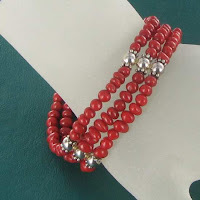 This lovely 3 strand deep red glass bracelet? You will capture both a lucky number and color in one! These pretty onyx earrings in gold filled metal uses another of the Capricorn gemstones as a feature. Perhaps they would be perfect for your capricorn friend. 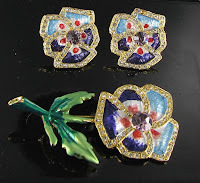 If you would like to incorporate one of their favorite flowers in a piece of jewelry, this lovely pansy demi parure from my Ruby Lane should should do the trick. But takes what's due in any case? Wishing all of you the most enjoyable of holidays. I hope it is the best season ever for all of you! 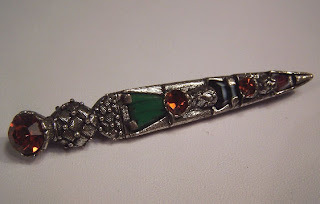 Vintage Jewelry Word of the Week - What is a Bar Pin? 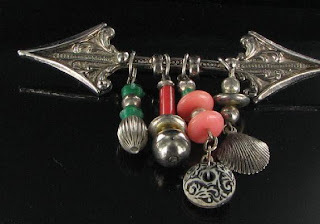 Today's vintage jewelry word brings up images of something you might wear to a bar on a girl's night out. Alas...this is not to be. 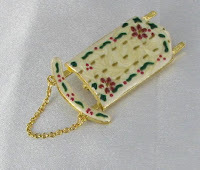 A bar pin a brooch or pin which is very narrow but long - quite similar in shape to a baguette stone. 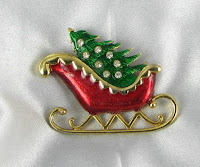 Bar pins are often embellished with gemstones or rhinestones and some popular styles have chain dangles. Some are actually shaped like a safety pin, although these should be correctly referred to as Kilt pins. 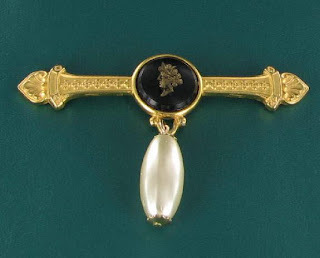 Bar pins had a height of popularity during the Victorian period, when many were set in real gold with semi precious or precious stones. 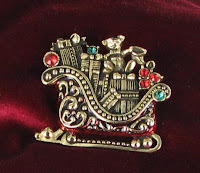 These older styles have C clasps and are highly collectible today.The popularity of bar pins waned somewhat during the retro vintage years when larger and more ornate pins were the fashion. The older styles are the most collectible designs. 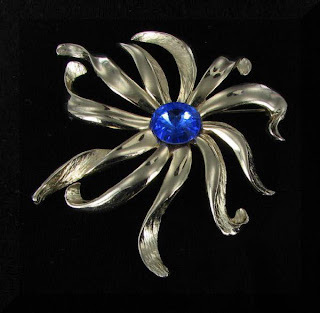 Many popular vintage jewelry designers made bar pins with Sarah Coventry designing several of them during the time period of the mid 20th century. Bar pins do seem to have had a resurgence lately, and can be found in many contemporary designs. Shopping online is one of my favorite things to do this time of the year. I can surf the web, point, click and pay all from the comfort of my chair without having to deal with the crowds in the stores. However, one disadvantage of this sort of shopping is that you have to be somewhat organized, since there has to be time for the items to actually be shipped to you. The post office says that December 21 is the last date for priority mail and December 23 is the last date for express mail to get to you by Christmas day. From my experience, first class mail and even some prioirty packages should really be shipped out this week to guarantee delivery on Christmas. Even some packages shipped the latter part of this week may not arrive on time if shipped first class. To avoid disappointment, be sure to try and finish up your online shopping early this week. For readers of my blog, I have a special discount. 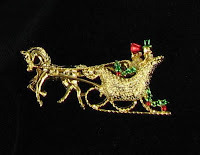 Any orders from Vintage Jewelry Lane, Vintage Jewelry Mall, or my shop at Ruby Lane - The Finishing Touch Vintage Jewelry can get a 10% discount if you mention my blog promo code in the notes of your paypal payment. The code is BLOGdec14. I'll refund your paypal account 10% of your payment amount back to your paypal account. First in best dressed! This code is only valid from December 14 to December 19, 2009. 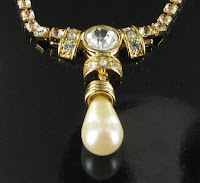 Vintage Jewelry Designer - Who Am I? 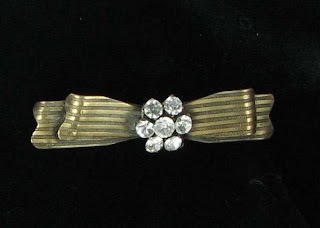 This is another in my ongoing guessing game series about popular vintage jewelry designers. I'll give you some clues and pictures and you see if you can guess which designer it is. Ready? The dates of operation of the company are 1927 to the present day. 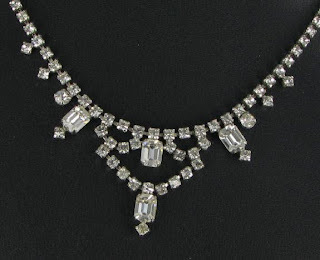 Today's vintage bling is from mid 20th Century designer BSK, whose pieces are still well undervalued compared to some other designers of similar quality workmanship. 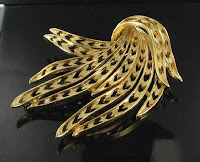 The brooch is a round cut out center design set in textured goldtone metal with a series of upturned and serrated edge leaves arranged in a circular pattern. Each of the leaves has a single, perfectly shaped marquis diamante rhinestone sitting on top of it. The size is just over 2" and it is signed BSK on the back. 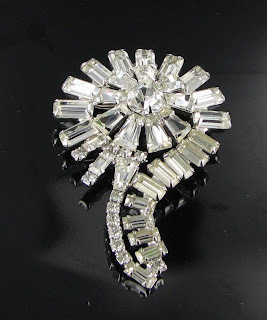 This lovely BSK rhinestone brooch is available from Vintage Jewelry Lane for $74.99. 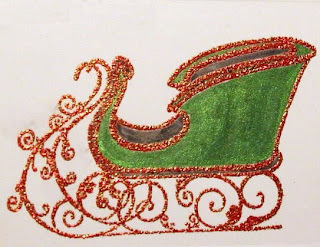 I get so nostalgic at Christmas time when I see movies, cards of photographs of snow. I grew up in the Northeast part of the US, and now live in the South, so I miss snow at times. 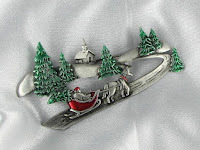 So these pretty Christmas Sleigh pins are right up my alley. You can click any of the photos for more details. The prices range from $8.75 to about $20. Perhaps one will be just right for you too! Are you a snow lover at Christmas time?